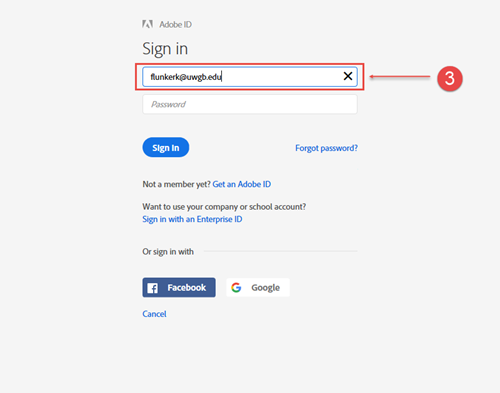 This KB explains how to sign in to Adobe when it prompts for a login. 1. 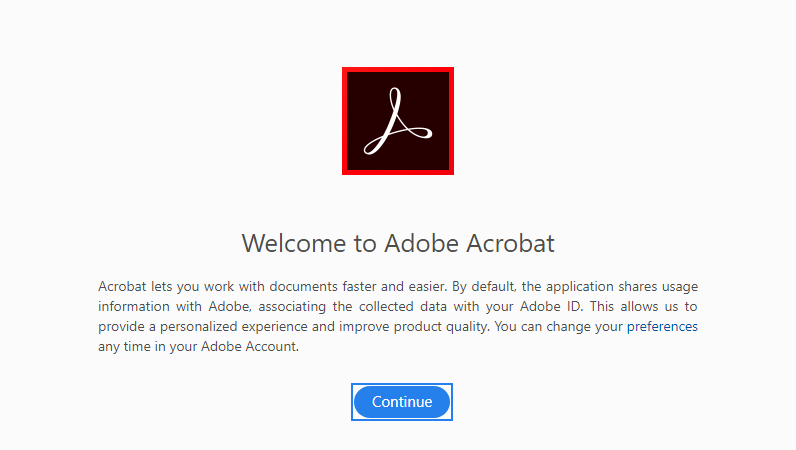 Open any Adobe program. 2. Do not sign in with first prompt. Underneath the prompt, it says "Sign in with an Enterprise ID". Click on this. 3. Type in your email in the username prompt. Then press tab or enter. 4. 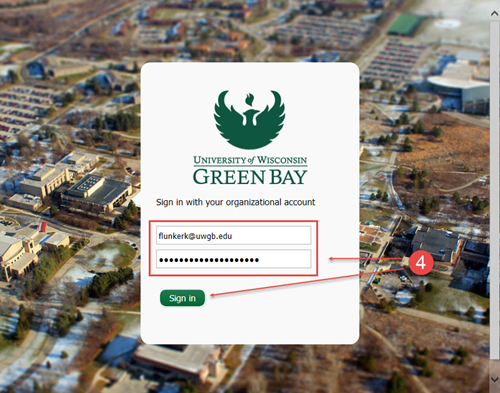 The Green Bay "Sign in with your organizational account" should pop up. Enter your campus credentials (full email and password). 5. The next screen that pops up should say Welcome. This is how you know the sign-in process was successful.